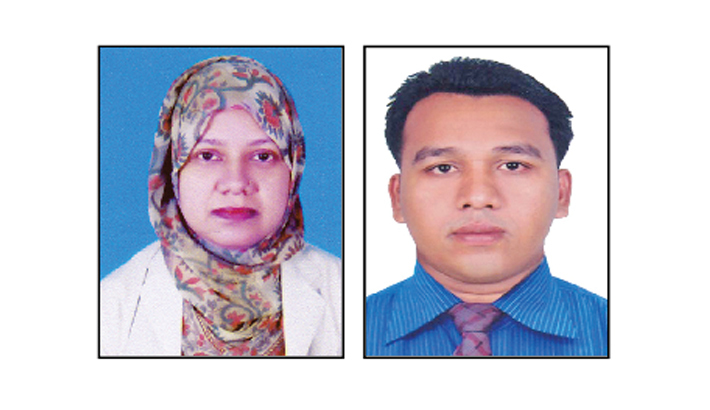 Senior Medical Officer Dr Kazi Roksana Sultana and Fisheries faculty Acting Section Officer AM Shahadat Hossain Jewel were made president and general secretary of the officers association of Chittagong Veterinary and Animal Sciences University (CVASU). The decision was taken at general meeting of the association at conference room on the university campus on Monday. Other office bearers are Vice President Mohammad Ali, Joint General Secretary Abu Mohammad Arif, Treasurer Siddhartha Shankar Chowdhury, Office and Publicity Secretary Md Omar Faruk, Literature, Cultural and Sports Secretary Mohammad Golam Muid, Social Welfare Secretary Md Jamal Hossain, Members Engineer Kowshik Nandy, Manjur Alam and Engineer Md Mamun Shikder.